Sharpness was generally very positive. A smidgen of softness appeared at times, but those instances were minor. Instead, the program demonstrated nice clarity and accuracy the vast majority of the time. I witnessed no instances of jagged edges or shimmering, and edge enhancement appeared minimal. Source flaws also failed to interfere. How does this “Gift Set” Blu-Ray compare with the original Blu-ray from 2010? 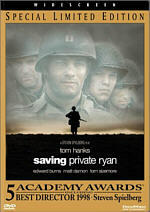 It’s literally identical; the “Gift Set” simply repackages the original release with Band of Brothers and a bonus documentary. The Pacific-specific components end with a featurette called Anatomy of the Pacific War. It goes for nine minutes, 59 seconds and provides comments from Dye, Spielberg, Miller, Eugene Sledge, Frank, Leyden, Hanks, Ambrose, Phillips, Greer, Burgin, historian/author Dr. Akira Iriye, and historian/author Dr. John Dower. “Anatomy” offers general notes about the war, with an emphasis on the Japanese culture and other facets of the overall conflict. Despite its brevity, it delivers a pretty good little recap that covers the basics well. 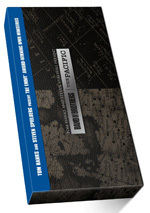 Note that this “Gift Set” edition of Pacific comes bundled with Band of Brothers. 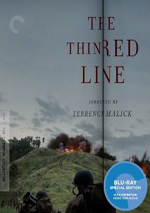 As mentioned in the body of the review, the “Gift Set” simply packages the already-available Blu-rays of those two mini-series with a bonus disc that includes the “He Has Seen War” documentary.